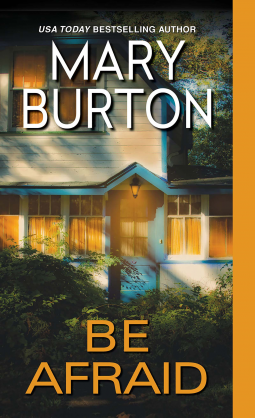 Mary Burton continues the saga of the Morgans Of Nashville with her second release in the series “Be Afraid”. There is no doubt the writing prowess of Mary Burton as she takes her readers on another journey into a town filled with secrets and murder. Taking leave from her job as a forensic artist, Jenna Thompson comes back to her hometown of Nashville to get some answers to questions that have been dogging her for twenty-five years. She’s lost her childhood in this town and she’s lost her identity and family in this town. Yet circumstances bring her back to the very place that has been giving her nightmares and she can’t seem to escape the eyes that haunt her in her sketches. Getting back to work after being injured in a bust, Detective Rick Morgan is drawn into a case when bones of a toddler are discovered and he ends up needing Jenna’s expertise to help him with the case. Jenna’s silence and professionalism makes Rick edgy and once her true identity is out in the open, he is surprised how they are connected in their pasts. With many twists and turns, Mary Burton keeps the readers guessing until the very end. And even as Jenna and Rick are getting closer to the killer, the dots connecting some key characters takes us by surprise. Weaving romance around a mystery, Mary gives Rick and Jenna an amazing clock of strength, courage and tenacity to get to the bottom of the evil creating havoc and threatening Jenna. Another interesting read, “Be Afraid” would keep you intrigued, interested and glued to the story until the very last page. And the little peak into her next book featuring Alex Morgan will keep you on the edge of your seats.